Data related to financial risk is inherently connected. Today’s banks must have a thorough and systematic understanding of risk calculations and associated data lineage — including where underlying data originates and how it flows through enterprise systems — to understand their true financial risk. This white paper discusses how connected data and graph database technologies are transforming risk reporting in modern banks to help prevent major losses and meet the stringent demands of reporting compliance. 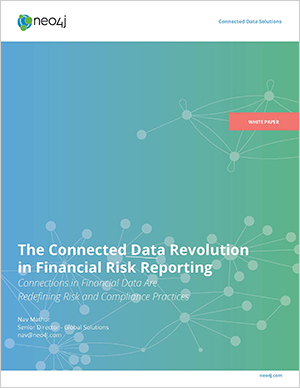 Fill out the form to download The Connected Data Revolution in Financial Risk Reporting.